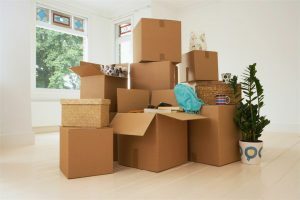 Founded in 1997, the experts have AAA Insta-Move have been helping Orlando residents relocate to their new homes without the stress and hassles often associated with relocation for more than 20 years. Our crews have decades of combined experienced and are committed to delivering complete customer satisfaction. It is our goal that your local moving from Orlando to Longwood experienced exceeds your expectations in all areas. At AAA Insta-Move we work diligently to separate ourselves from other Orlando moving companies by consistently delivering an exceptional moving experienced. No matter the size or distance of your move, AAA Insta-Move will handle your relocation wth the same level of attention and care. This attention begins when one of our moving specialists comes to your home for an in-person consultation and price quote. You will then be paired with your own move coordinator who will guide you throughout the moving process and answer any questions you may have as we progress.